Offering you a complete choice of products which include welding electrode plant, electrode making machines, welding electrode making machines, welding electrode machine, bb block wire machine and copper coating machinery. We take a pleasure to introduce ourselves as one of the best and leading Manufacturer and Exporter of Welding Electrode Plant. Our professionals are most qualified and skilled in this realm. Our products are demanded in domestic as well as international market. 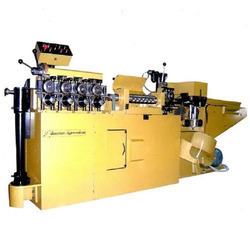 These machines are highly used for wire straightening cutting machine.The entire array is tested against many quality parameters to keep it as per set quality standards by our most skilled and qualified quality controllers. Adding to all this, they are available at cost effective rates. Electrode Making Machines offered to provide suitable support for electrode welding and can be made available in different finish configuration as well as model choices to pick from. 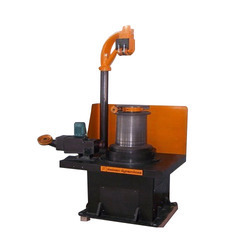 Made available as per customer's requirements, these machines come in light weight compact finish as well as provide for energy efficient performance. Some of its features include providing for stable ARC and little spatter; offering good welding quality; superior overload and over-heat protection; provide for high-temperature resistance; easy to operate with no special skills required. Owing to our rich expertise, we are offering a compact assortment of Welding Electrode Plant. These products are made to fulfill the distinct demands of the clients. Our products are fabricated using optimum grade raw material that is sourced from the most accredited vendors of the market. In addition to this, patrons can avail this range from us in diverse sizes and dimensions as per their detailed specifications. 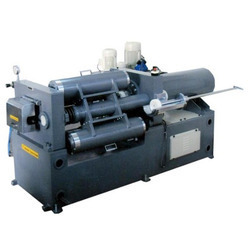 Welding Electrode Making Machines offered can be made available by us in the choice of different model options and provide suitability for electrode welding. Featuring latest technology support, these machines come in the compactly designed finish and have light weight finish. Some of its features include come with superior overload and overheat protection; provide for cost-effective performance; easy to operate designs; provides for high corrosion resistance and high conductivity support. 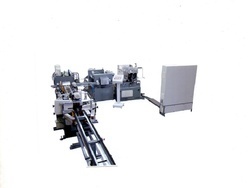 Welding Electrode Machinery offered comprise superior quality products that provide for optimum functional support and can be made available in different model configuration options to choose from. These electronic machinery choices are made available at competitive price and can be made available in different production capacities. Some of its features include suitable for steel, aluminum, copper and other metal wire drawing, provide for efficient and reliable performance, available in different production capacity and in reliable performance. 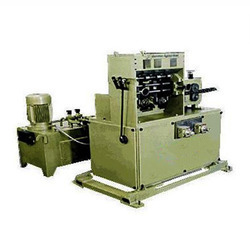 Backed by a vast industry experience, we are able to manufacture a high performing range of BB Block Wire Machine. These are specifically designed using high-grade material and are known for their robust design, low maintenance, and high performance. Our range can be availed in various technical specifications as per the application requirements of our clients. Copper Coating Machinery offered can be made available by us in different configuration choices as well as model choices to pick from. Finding application in areas like making copper electroplating steel wire, the machinery comes with double floor water tank for compact floor usage. Some of its features include complete stainless steel construction finish for lasting performance support; frequency control based motor support; provide for safe, stable and energetic performance; support adjusting overlap rate according to the requirement. 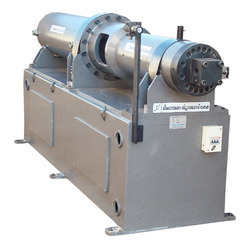 We offer the durable range of Horizontal Extruder Plant which is manufactured at par with international standards. The gamut has special attributes such as durable, reliable, low maintenance and easy installation. Also, we provide customization in accordance with clients’ specifications within stipulated time frame.